Mantras of Samavartan play significant role in newborn’s life as blessings of lords shower on new born after taking the ceremonial bath. It ensures a life, full of knowledge and Vedic empowerment as it is done after returning from the teacher’s ashram. In Samavartan sansakara, mantras are chanted for proper channelization of teaching into the life of child. Samavartan sansakara ensures showering of blessing of god in channelization of Vedic study in child’s life. Samavartan sansakara showers strength and positivity that provides empowerment to new born by strengthening them through special mantras of vedic scriptures. Samavartan sansakara guides towards a path of power, knowledge, fulfillment and wisdom. 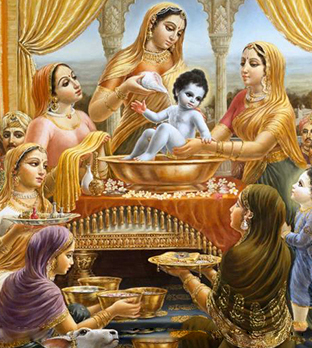 Complete accuracy in arrangement of Samavartan sansakara that showers blessing of responsible gods and goddesses on the newborn child by conducting ceremonial bath as per Vedic rituals. Puja Yagya incorporates Pundits who are fully expert in Samavartan sansakara Sanskaras and they are also trained pundits of Sanskrit Gurukul that lets us conduct all sansakara and Puja with perfect accuracy.